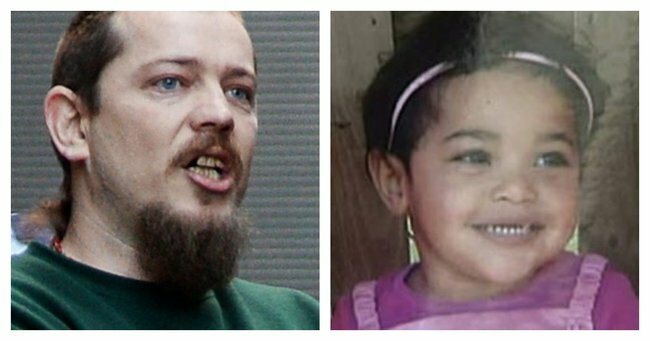 Step dad who tortured 2-year-old to death appeals his sentence saying he is 'afraid' in prison. Warning: This post details child abuse and may be distressing for some readers. A man who threw a two-year-old girl against a shower screen, kicked her, whipped and beat her and left her unconscious and “gurgling” for two days and nights in a pram dying has appealed his sentence for her murder over fears of the violence he may experience while in jail. In 2013 Warren Ross was found guilty of murdering two-year-old Tanilla Warrick-Deaves, the daughter of his partner. He was sentenced to 40 years jail with a non-parole period of 30 years in 2014. Two-year-old Tanilla Warrick-Deaves. Via Justice for Tanilla Facebook. Ross abused two-year old Tanilla in the weeks before her death as he tried to toilet train her. He forced her to run laps until she collapsed, whipped her with various implements and hit her. Evidence showed that Ross would punish Tanilla for “anything”, using electric cords, shoes, a belt and his hand. He would hold her under cold showers and call her an animal. He would throw her across the room and believed that Tanilla, aged just 2, was deliberately defying him. But Ross, who now serves his time in Sydney’s Silverwater Jail says he shouldn’t serve that length of time on the basis that he faces "onerous jail conditions" reports Fairfax Media. She said that her boyfriend then smashed her daughter’s head into the shower screen, kicked her across the room and slapped Deaves across the face. “I tried to stop it,” Deaves told the court. Tanilla&apos;s mum Donna Deaves received a reduced sentence for testifying against Ross. Deaves and Ross placed the unconscious daughter in her pram and left her for two days and two nights, making ”rattly” and “gurgling” sounds. One night, whilst watching a movie, Deaves said she noticed her dying daughter had vomited. Doctors found the cause of Tanilla’s death was blunt force head trauma, which caused a subdural haemorrhage. The pathologist said Tanilla may have survived if she had been treated promptly. But the two adults meant to be caring for her showed no interest in helping the defenseless toddler. Relatives of Tanilla Warrick-Deaves said they made 33 reports to the Department of Family and Community Services about her welfare. Image via Twitter. Yesterday in his appeal Ross&apos; lawyer, Chris Bruce SC, told the NSW Court of Appeal that his client had been beaten on four occasions since he was jailed and fears he may be the victim of “ongoing intimidation and violence” if he is to serve his full sentence. The court heard that Ross had been assaulted in prison, claimed that "someone had a price on his head" and constantly afraid. At Ross’s trial for Tanilla’s murder a series of witnesses testified that Tanilla was afraid constantly as well, that she cried and screamed each time she saw one of the implements Ross used to beat her. That she was a victim of ongoing violence. Tanilla was afraid constantly. Via Justice for Tanilla Facebook. One witness testified she had seen Warren Ross yelling at the toddler as they walked down a street. She said Mr Ross had hit the child so hard she had flown through the air and that despite her cries for help, he had continued to walk past her, even asking onlookers if their children behaved in the same way and warning Tanilla to “just wait” until she got home. The court then heard what often happened when Tanilla ‘got home’. Another witness testified that Ross was trying to toilet train the toddler and whipped her when she made a mistake. “Every time he was scolding the child for soiling throughout the house I could hear whipping and the child screaming,” Mr Coker said. Yesterday Mr Bruce called for the appeals court to be more lenient with Ross. "It&apos;s highly unlikely he will get parole.” Mr Bruce said. “ That means there will be 40 years of this ongoing intimidation and violence, this continual hyper vigilance as I put it,"
Sally Dowling SC, for the Crown said the 40-year sentence length was a "reflection of the extreme objective seriousness" of the offence. Ms Dowling said Tanilla was tortured. She urged the three appeal judges to look at the autopsy photographs of her body. "After inflicting those blows that ultimately caused her death, he left her sitting in the pram to die" she said. Brooke Bowen, Tanilla&apos;s step mother. Via. 7 News. Tanilla’s step-mother said it was insane to even allow Ross the chance to have an appeal. "She was two-and-a-half, she was defenceless." Brooke Bowen told The Northern Star. "He should never get to walk among society, he should never get to feel the touch of someone who he loves, or a chance to have any more children. Tanilla Warrick-Deaves who died aged two after &apos;blunt force head trauma&apos;. Via Justice for Tanilla Facebook. But Ross’s lawyer says his client doesn’t deserve the treatment he might get saying saying Ross has been assaulted four times. "The reality is this will be ongoing, this won&apos;t cease” Mr Bruce said referring to the threats of violence Ross endures. “In fact, if he does stay in jail, he will be 68 when this might cease." He’ll be 68. Tanilla was just two.